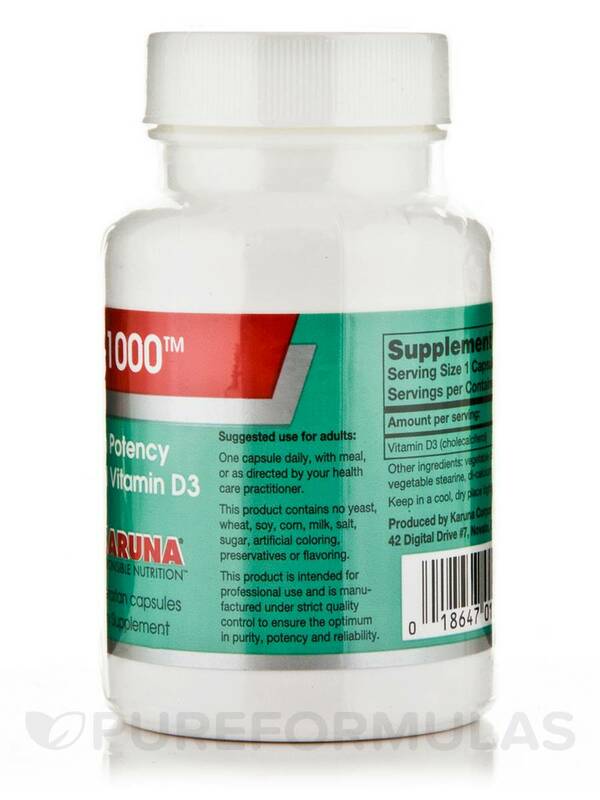 If you’re looking for a vitamin D supplement that may work to maintain overall well-being‚ you might want to try D-1000™ by Karuna Health. First‚ vitamin D might aid in the absorption of calcium. As a result‚ D-1000™ may act to maintain strong bones and teeth. In addition‚ this vitamin may work to promote optimal immune function. Specifically‚ D-1000™ may help address some symptoms associated with the common cold because vitamin D could potentially work to stimulate T-cells‚ which are white blood cells that are involved in fighting off certain infections. For these reasons‚ Karuna Health puts 1‚000 IU (international units) of vitamin D3 in every vegetarian capsule of D-1000™. Notably‚ vitamin D3—which is also known as cholecalciferol—is chemically identical to the form of vitamin D that your body produces when your skin is exposed to natural sunlight. 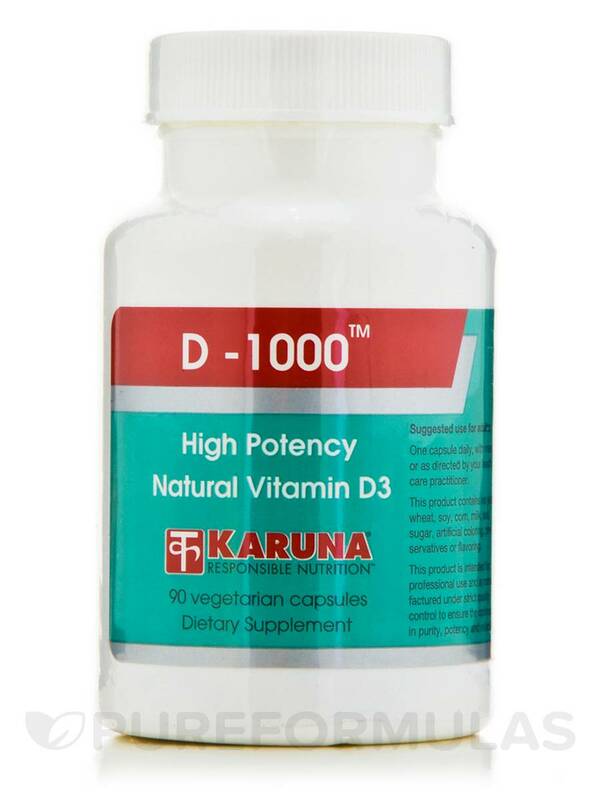 At the recommended serving size of one capsule daily‚ every 90-capsule bottle of Karuna Health’s D-1000™ should last for about three months. 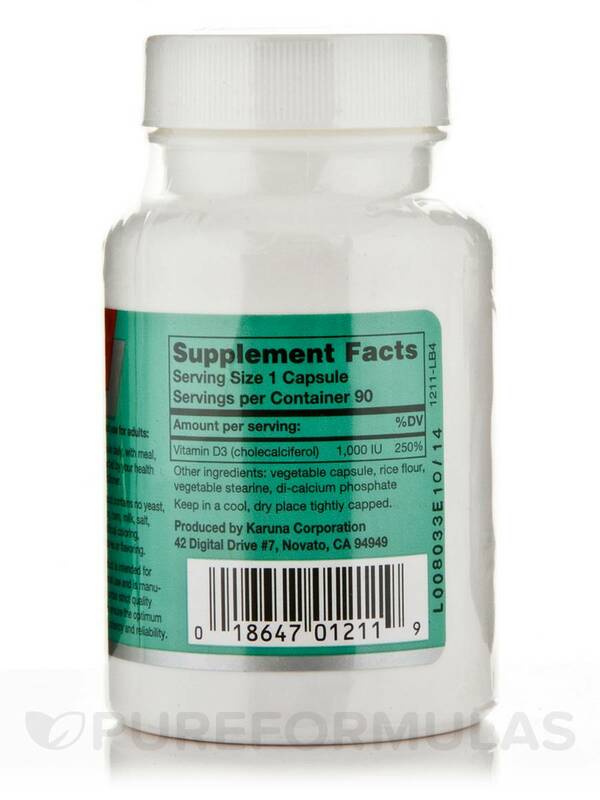 One capsule daily‚ with meal‚ or as directed by your health care practitioner.